Bourjois introduces Shine Edition Lipsticks on their 150th Anniversary and all the shades are just so amazing and totally up to their claims. I'm sharing my views on Bourjois Shine Edition Lipstick in 20, 123 Soleil. Keep on reading for more. ULTRA SHINE, RADIANT COLOUR AND THE COMFORT OF A BALM. A new generation formula that brings shine, colour and comfort to your lips. An ultra-shine results, thanks to a new 1/4 gloss extract for amazing shine-wrapped colour. The sensuous formula gives ultimate comfort. Enriched with nourishing mango butter extracts, Shine Edition leaves lips moisturized for upto 10hrs. Its rich and melting formula provides cushion comfort and makes application addictive! And the icing on thee top It's shiny, coloured packaging makes Shine Edition lipstick a true fashion accessory. I'm a huge fan of matte lipstick because of their wear-time and it does stand out beautifully against oily skin until I got Bourjois Shine Edition Lipsticks which claims to give ultra shine and radiant color with a comfort of lip balm. I was not impressed when I first read the word 'Lip Balm' as lip balms tend to give a quite sheer coverage and very faint tint (if lip balms are tinted), But I proved wrong as soon as I used it. For a lip balm I LOVE how pigmented they are packed with ultra shine and radiance. 20, 123 Soleil is gorgeous tangerine orange color (reminds me of Revlon Lip Butter in Tutti Frutti ), and scared me so much as I never tried any orange lipstick before, but I took a dare, applied it once and fell in love. On lips its shown as beautiful peachy orange color. The colors appear much lighter on lips as it seems in the bullet. The formula is moisturizing and having a buttery smooth texture which glides on lips like a dream by giving a healthy pop of color and shine without being gooey or sloppy. Though the formula is a bit sheer but definitely built-able and can be used a lip tint as well as a full opaque lipstick. As for a lipstick, the formula is light as a feather and same you can experience on lips i.e. apply and forget that you're wearing something on lips. As, the formula is insanely hydrated and moisturizing it tends to slide and slip a little and can melt too in warm climates. The staying time of shine edition lipstick is just beyond words. They can keep dry/chapped lips hydrated for about 3-4 hours easily and for my normal lips they stayed around there for about good 5 hours and leaves a beautiful orange tint on the lips before fades out completely without any tacky feeling or residues. If consider as a lip balm, the lasting time is commendable and as for lipstick, they are one of the best long-lasting lipstick in my stash. The mirror packaging is so shiny and chic and kind of different from their regular packaging allows you to do a quick touch ups when needed. They are travel friendly, just toss in your makeup bag for a having a healthy pop of glossy lips as they are amazing without bleeding or clinging to dry areas of the lips. Despite that is bit on the pricey side, I so want to add shine editions other colors in my stash as it was my everyday staple entire summer and I'm already seeing myself reaching out for it for my entire summer next year as well for effortlessly luscious shiny lips. You are looking for long-lasting lipstick/lip-balm. You are looking for a light weight and moisturizing formula. You are expecting a good color pay off. You are expecting healthy pop of color. You may find it pricey for a tinted lip balm. You don't like soft texture of the lipstick. You don't like sheer formula. Bourjois Shine Edition Lipsticks costs £7.99 and can get from all Boots and Super drug stores if you are in UK. 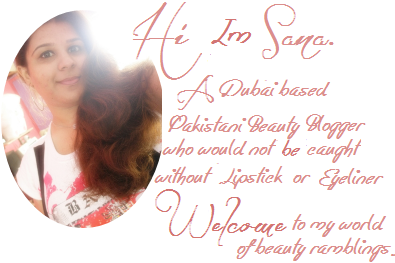 And as for folks living in Pakistan, they costs around 1150PKR can get them from all Bourjois counters nationwide. What do you think about Shine Edition Lipsticks? Have you tried any of them yet? 81 comments on "Bourjois Shine Edition Lipstick in 20,123 Soleil [Review & Swatches]"
Hello there! Thanks for you visit and the following. I'm you new follower! Great blog! I love that color! I've never heard of their lipstick before, I'll have to keep an eye out for it! The colour looks really beautiful! The colour is lovely, I'd love to try this! Ooo I love the bright color! Great for a night out. I like shiny and soft although I am not a big fan of long lasting lipstick this one looks really nice and love the texture. I like how natural this lipstick looks! It is a bit pricey, but if it works, I don't mind paying then:D That Soleil looks really great on you. love teh color so much!! The color looks really beautiful! It looks lovely,love the color ! The color of the lipstick is absolutely stunning, love it! I prefer sheer shades, so this one looks like a must-have for me because I don't feel like I look great in anything too bold. Plus the orangey tint makes me think of the Caribbean sun, which of course is incredible! ;) Great review! I haven't tried it and honestly I haven't heard about it, maybe it's not common in Italy :). Anyway the shade and softness seem great...I definitely love to try it. I've never any Bourjous products but that colour looks lovely! I've never tried any Bourjous products but that colour looks lovely! Wow, looks like a gorgeous lip color! Love that hue - The orangey undertones are gorgeous. Super cute packaging too! Great color - Stunning shade! I've never tried any Bourjous products but this colour looks lovely. I just love orange lip colors.. they do stand out in a crowd! I have tried on this product and was really impressed.. I loved how moisturizing they are! I love orange lip colors.. they do stand out in the crowd without being too in the face! I have tried this product and was really impressed.. I love how moisturizing they are! Lovely color! Looks neat. Happy day! Ohh my..the shade is gorgeous but I would have loved it more if it is more opaque. Wow, such a nice color, gotta get one. Thanks for sharing, dear. I love Tutti Frutti, so Soleil is definitely up my alley. Thanks for the review! The very first lip gloss I ever had was made by Bourjois. I didn't remember that until I saw your post and it all came back to me. It came in a lipstick tube and I felt so grown up when I used it! where can I find it in lahore? lovely color especially for the summertime!!! Bourjois have awesome products and this lipstick is proof of that. Awesome product. Thanks for the review. I love that the lips look natural and pampered with this) I'd give it a try! Really pretty color. It's not so bright like see other corals.